For other men of this name, see John Walsh (disambiguation). John Walsh (1 July 1726 – 9 March 1795) was a British scientist and Secretary to the Governor of Bengal. John was son of Joseph Walsh, Secretary to the Governor of Fort St. George and cousin to Nevil Maskelyne, the Astronomer Royal, and his sister Margaret, the wife of Lord Clive. In later life, John Walsh's interests were scientific, with a particular interest in electric fish. 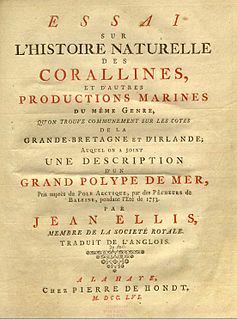 He was elected a Fellow of the Royal Society in 1770 and awarded their Copley Medal in 1773 for a paper on the electrical properties of torpedo fish. Upon his death in 1795, Sir John Walsh, as he was then known, left his fortune to his niece, Margaret Walsh, and her husband, John Benn, on the condition that they change their surname to Benn-Walsh. With his own fortune of £80,000 made in India while Assistant to the Resident of Benares, his brother-in-law Francis Fowke in the 1770s, John Benn-Walsh had become a very wealthy man and went on to inherit extensive estates in Warfield, Buckinghamshire, in Radnorshire, and in Ormathwaite, Cumberland and be created Baron Ormathwaite. ^ Lee, Sidney, ed. (1899). "Walsh, John (1725?-1795)" . Dictionary of National Biography. 59. London: Smith, Elder & Co.
^ "Warfield Park Case Study: Imagining Home". East India Company at Home, 1757-1857. University College London. ^ "Warfield Park Case Study: A Country House of One's Own". East India Company at Home, 1757-1857. University College London. ^ Drummond, Mary M. (1964). "Walsh, John (1726-1795)". In Namier, Sir Lewis; Brooke, John. The House of Commons 1754-1790. The History of Parliament Trust. ^ Wade, Nicholas; Piccolino, Marco; Simmons, Adrian. "John Walsh 1726–1795". Portraits of European Neuroscientists. ^ Piccolino, Marco; Bresadola, Marco (January 2002). "Drawing a spark from darkness: John Walsh and electric fish" (PDF). Trends in Neurosciences. 25 (1): 51–57. doi:10.1016/S0166-2236(00)02003-8. Archived from the original (PDF) on 4 March 2016. ^ "Copley Medal". The Royal Society. ^ Walsh, John; Seignette, Sieu (1 January 1773). "Of the Electric Property of the Torpedo". Philosophical Transactions of the Royal Society of London. 63: 461–480. doi:10.1098/rstl.1773.0039. ^ a b "Warfield Park Case Study: Rebuilding Warfield". East India Company at Home, 1757-1857. University College London. Thomas Secker was the Archbishop of Canterbury in the Church of England. Major-General Robert Clive, 1st Baron Clive,, also known as Clive of India, Commander-in-Chief of British India, was a British officer and privateer who established the military and political supremacy of the East India Company in Bengal. He is credited with securing a large swath of South Asia and the wealth that followed, for the British East India Company. In the process, he also turned himself into a multi-millionaire. Together with Warren Hastings he was one of the key early figures setting in motion what would later become British India. Blocking impending French mastery of India, and eventual British expulsion from the continent, Clive improvised a military expedition that ultimately enabled the East India Company to adopt the French strategy of indirect rule via puppet government. Hired by the company to return a second time to India, Clive conspired to secure the Company's trade interests by overthrowing the locally unpopular heir to the throne of Bengal, the richest state in India, richer than Britain, at the time. Back in England, he used his success to secure an Irish barony, from the then Whig PM, Thomas Pelham-Holles, 1st Duke of Newcastle, and again a seat for himself in Parliament, via Henry Herbert, 1st Earl of Powis, representing the Whigs in Shrewsbury, Shropshire (1761–1774), as he had previously in Mitchell, Cornwall (1754–1755). Robert Orme was a British historian of India. Son of a British East India Company physician and surgeon, he entered the service of the Company in Bengal in 1743. He returned to England in 1753, and was regarded as an authority on India. Prospect Park is a public park in the western suburbs of Reading situated north of the Bath Road in the English county of Berkshire. Admiral John Montagu (1719–1795) was an English naval officer and colonial governor of Newfoundland. Jacob Pleydell-Bouverie, 2nd Earl of Radnor FRS FSA, styled Hon. Jacob Pleydell-Bouverie from 1761 to 1765 and Viscount Folkestone from 1765 to 1776, was a British politician who sat in the House of Commons from 1771 to 1776 when he succeeded to the peerage as Earl of Radnor. Warfield is a village and civil parish in the English county of Berkshire and the Borough of Bracknell Forest. John Ellis was a British linen merchant and naturalist. Ellis was the first to have a published written description of the Venus flytrap and its botanical name. Joan Gideon Loten was a Dutch servant in the colonies of the Dutch East India Company, the 29th Governor of Zeylan, Fellow of the Royal Society and Fellow of the Society of Antiquaries of London. During his time in the colonies he made collections of natural history. In 1758 he moved to Holland. Nine months after his return from the Dutch East Indies he moved to London, where he lived for 22 years and interacted with scholarly societies and shared his natural history illustrations and collections. John Johnstone was a Scottish nabob, a corrupt official of the British East India Company who returned home with great wealth. Described as "a shrewd and unscrupulous business man", he survived several scandals and became a major landowner when he returned to Scotland in 1765. Warfield Parish Church is a Grade II* listed building. It is located on Church Lane, Warfield, in Berkshire, England, ¾ of a mile north-east of the modern centre of the village. It is dedicated to the archangel Michael. The area around the church has been designated a conservation area since 1974 primarily to protect the character and nature of this historical building.